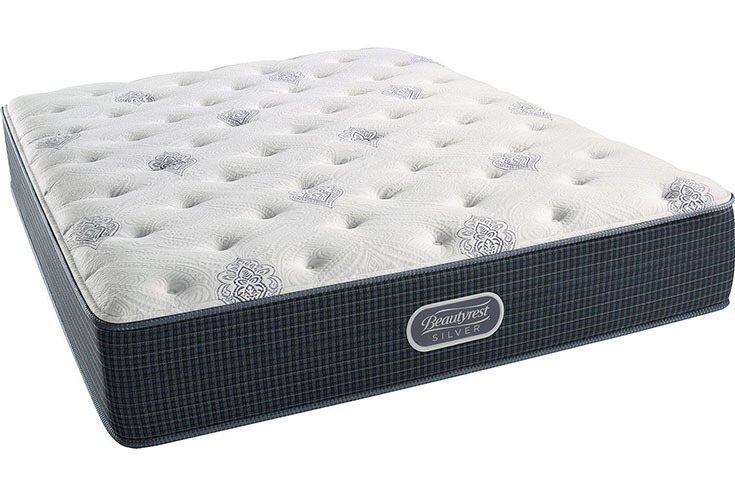 The Open Seas Luxury Firm is a hybrid mattress model from the Simmons Beautyrest Silver collection. This is Simmons’s most affordable line of mattresses. This is a luxury firm mattress, meaning it will support your body while you sleep and thus may be a nice pick for stomach and back sleepers. You shouldn’t have to worry about your hips sinking in too far on this mattress. Also, the Dualcool™ Technology Fiber, Aircool® Foam, Airfeel™ Foam, and Aircool® Gel Memory Foam will all work to prevent overheating. Simmons states this mattress is a luxury firm model. 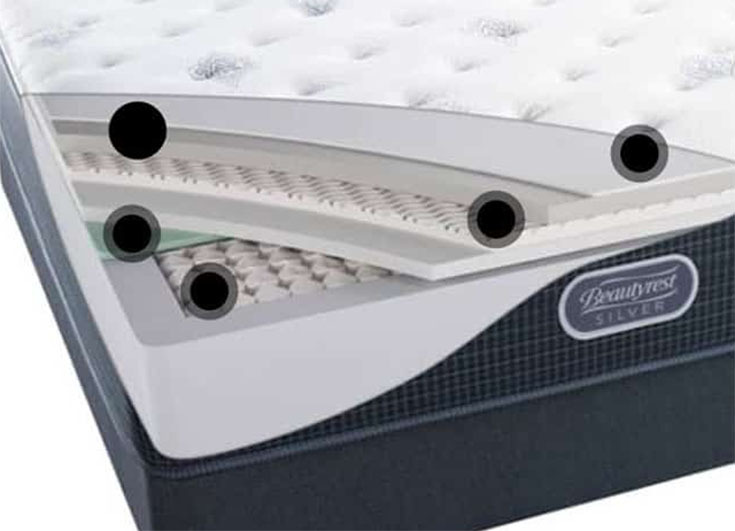 Firm mattresses are generally a good pick for back and stomach sleepers, because they tend to provide adequate spinal support. The Open Seas Luxury Firm is probably a good choice for people who run hot at night. It contains Aircool® Gel Memory Foam, Airfeel™ Foam, Dualcool™ Technology Fiber, and Aircool® Foam to promote cooling. This luxury firm model might suit back and stomach sleepers, as a firm mattress can help keep your spine in the correct alignment while you sleep. The Open Seas Luxury Firm is a good pick for people who want a firm-feeling mattress without a pillow-top. The Open Seas Luxury Firm is probably not the best pick for side sleepers, as a firm mattress may put pressure on the shoulders and hips. This mattress does contain Aircool® Gel Memory Foam, but it might not be a good pick for people who are looking for a classic memory foam feel. Those who prefer the “enveloping” memory foam feel should look for an all-foam model. The Simmons website describes this mattress as luxury firm, which means it is probably a firmer pick than several other models in the Beautyrest Silver collection. This model contains Dualcool™ Technology Fiber, Aircool® Foam, Airfeel™ Foam, and Aircool® Gel Memory Foam to help regulate temperature better than many other models. This hybrid innerspring coil mattress is 12” high and contains Dualcool™ Technology Fiber, Aircool® Foam, Airfeel™ Foam, Aircool® Gel Memory Foam, and 815 Density Firm Beautyrest® Pocketed Coil® Technology. The Open Seas Luxury Firm mattress is described as luxury firm, making it a good pick for back and stomach sleepers. Hot sleepers should also find cool comfort on this mattress.